Here are 10 things you should know about singer and actor Cliff “Ukulele Ike” Edwards, who was a much bigger star in his heyday than most would guess today. Here are 10 things you should know about the inimitable Josephine Baker, born on June 3, 1906. Hers was a remarkable life indeed. We’re featuring Baker’s delightful music all day today on Cladrite Radio, so be sure to tune in! Very few performers have ever managed to carve out a nine-decade career in show business, but that’s just what Rose Marie (Baby Rose Marie, to Cladrite Radio listeners) has done—and she’s still going strong. Since launching her career at the ripe old age of four (she had a weekly radio program that was broadcast nationally before Shirley Temple was even born), Rose Marie has enjoyed success in vaudeville, radio, records, motion pictures, Broadway, and television. A delightful new documentary, Wait for Your Laugh, documents Rose Marie’s amazing life and career, and we’re delighted to share a very lightly edited transcript of a telephone conversation we recently had the pleasure of enjoying with her. Buckle your seat belts; it’s a delightfully wild ride. 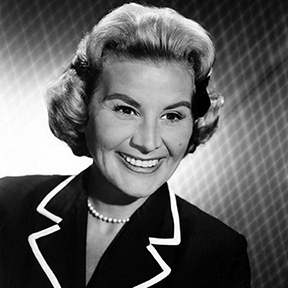 As you’ll soon see, Rose Marie is as sharp and as funny as ever. Cladrite Radio: I have a lot of things I’d like to talk to you about. Rose Marie: First of all, let me ask you a question. Rose Marie: Did you see the movie [Wait for Your Laugh]? Rose Marie: What’d you think of it? Cladrite Radio: I loved it. I thought it was great. Rose Marie: What’d you like about it? Rose Marie: That’s my era. Cladrite Radio: It sure is. I have an online radio station that features music of that era. I play some of your records on the station. Cladrite Radio: When I got the chance to interview you, I was so excited. I’m a fan of your music, and I grew up with you on TV as well. Rose Marie: I know, everybody says that. It makes me feel so old. Cladrite Radio: Oh, well, I’m not so young myself. Rose Marie: I’m 94, wanna bet? Cladrite Radio: You’re doing great. You’re probably doing better at 94 than I am at 59. Rose Marie: I’m very happy to tell you. I’m very proud of it. I love it. I’m so proud of [director] Jason Wise, I can’t stand it. I think he’s a genius. I think he’s going to be one of the biggest men in the business in a couple years. I think this will introduce him to everybody. I think he’ll even be bigger than Steven Spielberg. Cladrite Radio: I’ll bet he wouldn’t mind that a bit. Rose Marie: Oh, he’s wonderful. You have no idea. You don’t know how particular he is. When we decided to do this thing, I kept everything from the time I was three years old. Postcards, pictures, film, anything I had, I kept. When he talked about doing the documentary, he says, “Let’s talk.” I said, “I have everything in scrapbooks. Why don’t you just go through everything?” I emptied out my house, and I mean he cleaned me out of everything. He put it in that documentary. Just a genius. Rose Marie: All mine. All mine that he dug up out of my house.